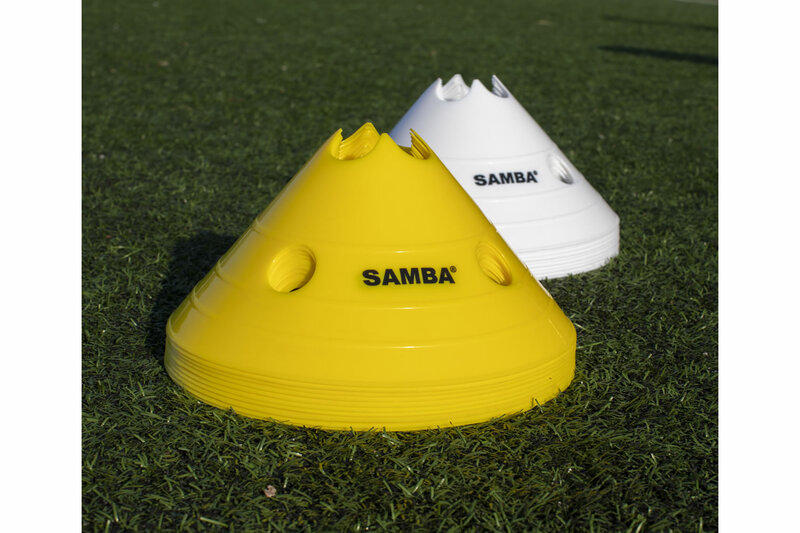 Jumbo marker cones available in sets of 20. Each set comprises of 2 colours - Yellow & White. Size: 12" diameter x 6" high. PLEASE NOTE: Colourway is Yellow/White.